My all-metal, tough-as-nails Nikkormat EL sits in my studio. It is heavy, blocky, and reliable. 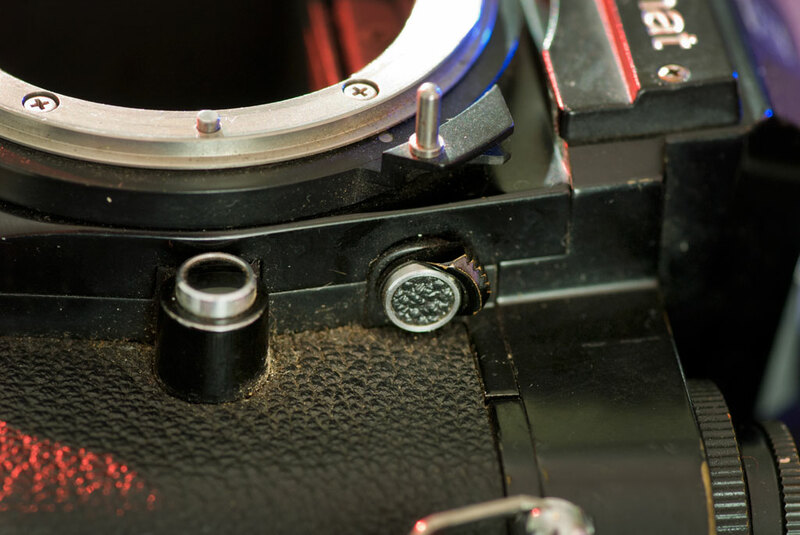 Mounting a lens on old Nikon cameras required aligning a claw with a post, then rotating the lens to its smallest aperture, then it’s largest aperture, to “index” the lens with the camera. 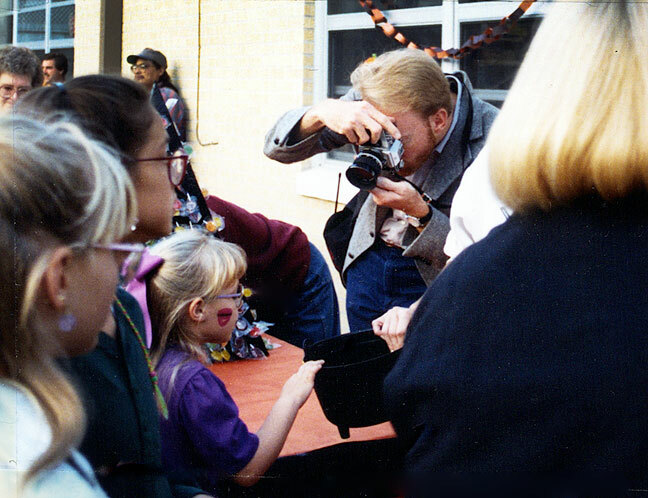 In the months and years following my first year at a full-time newspaper internship, I had a pretty clear idea about what kind of photographer I wanted to be. I wanted to be in the trenches, shooting football games in the rain, house fires in the middle of the night, perp walks on the courthouse steps, and the crowd going wild when the three-pointer hits at the buzzer. 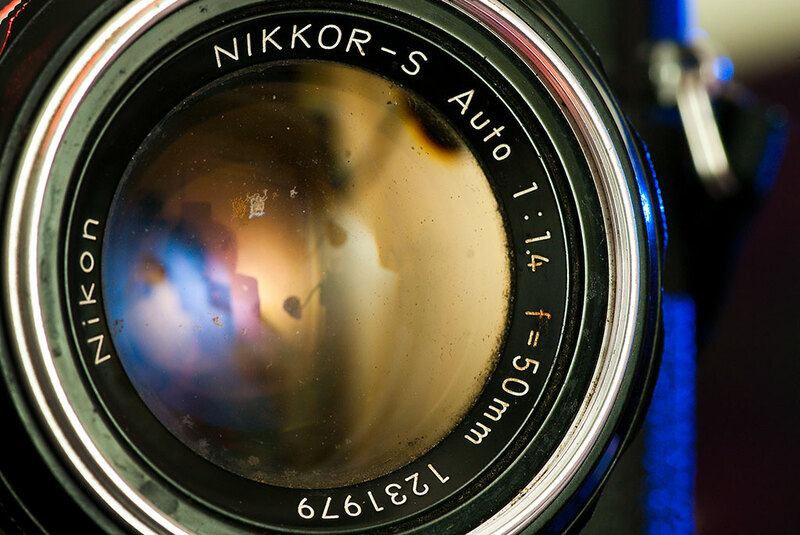 The Nikkormat wears a 1960s-era 50mm f/1.4 Nikkor lens. The yellow hue of the front element indicates it was single-coated, but over the years I found that this lens was very sharp, and very tough. 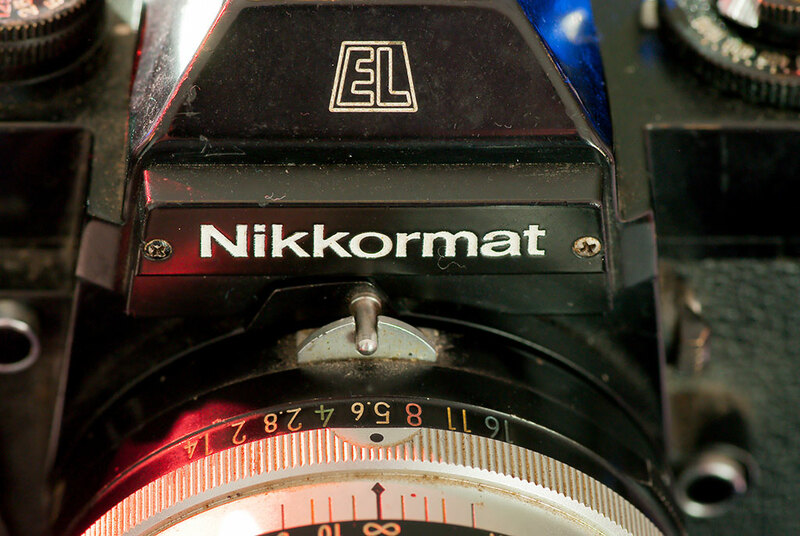 The Nikkormat EL kept it’s battery in an unusual spot, in a chamber under the reflex mirror. To do all these things, I needed tough cameras with big, fast lenses. I started with a Nikon FM in 1982, and slowly added to my system. On the occasions when I had a little extra money, I often hit the pawn shops at Fort Sill, Oklahoma, where E-1 soldiers tended to blow all their pay on payday, then pawn what they bought two weeks later when they needed to make rent. In the 21st century, it’s weirdly unsettling to look at the back of a camera and not see a monitor. Pushing the white button on the back of the Nikkormat EL lit up the orange button, indicating the state of the battery. 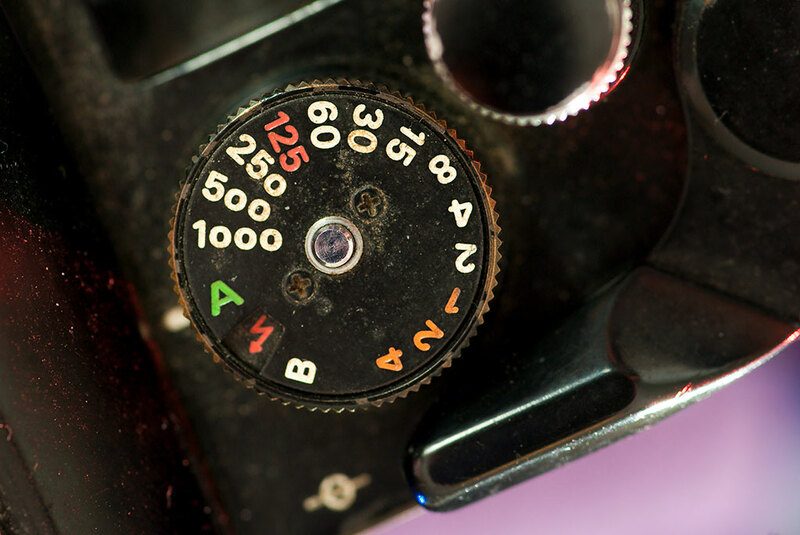 This is a relic that many modern photographers might not even recognize: a selectable X-sync vs FP-sync flash setting on the shutter speed dial of the Nikkormat EL. FP-Sync triggers the flash slightly early to allow a flash bulb to reach it’s full output. The mirror lock-up lever is situated above the lens release. It allowed use of optics that protruded into the body of the camera, and also allowed access to the battery under the mirror box. At several points in my camera shopping I came across nice Nikkormat cameras. Nikkormat was Nikon’s 1960s and 70s effort to manufacture less-expensive Nikons for amateurs, mostly by limiting their features. 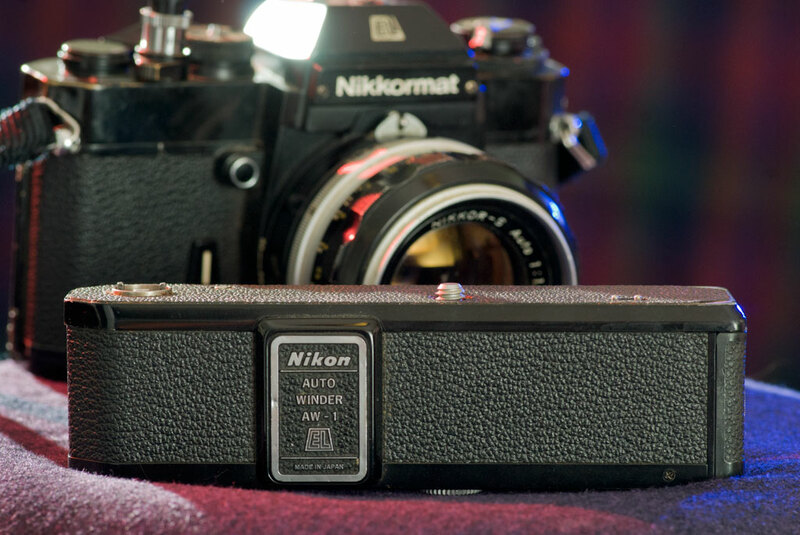 By the late 1970s, Nikon and Nikkormat had largely merged, and most Nikkormats had a fair amount of features. All the cameras made by Nikon during that era were built like tanks: steel frames, brass mounting rings, real glass pentaprisms, engraved and painted markings. 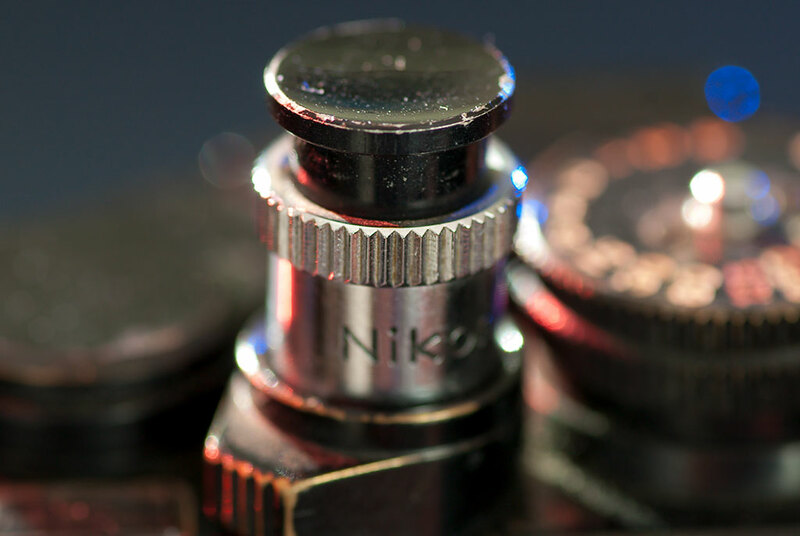 It was a golden ago of camera-making for most camera makers, including Nikon. 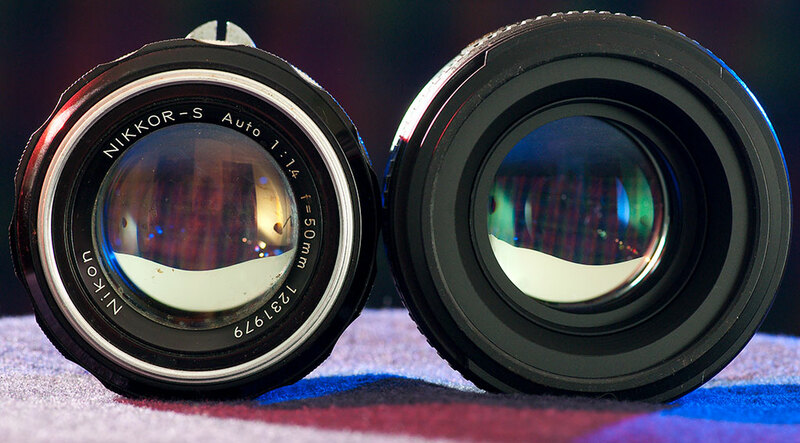 The Nikkor-S 50mm f/1.4 sits next to the new AF-S Nikkor 50mm f/1.4. The shutter speed dial on the EL includes aperture-priority automatic. 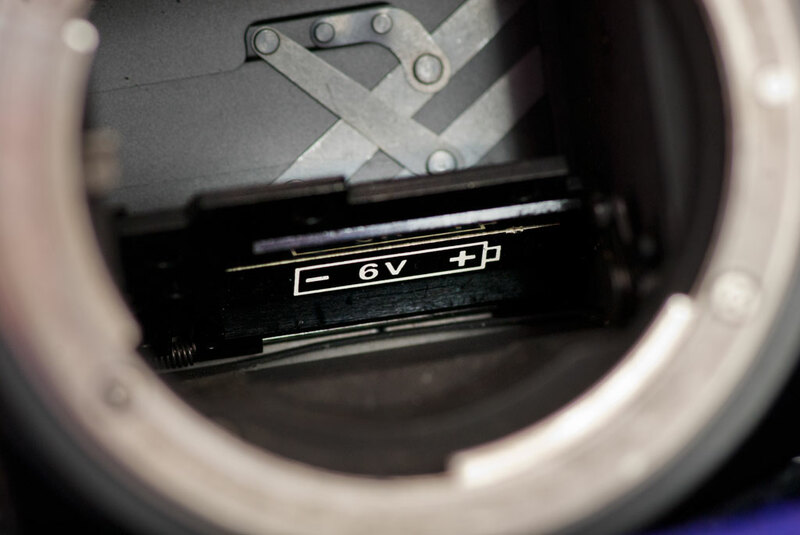 This feature was later quite common in many Nikon cameras, including the FE, which replaced the EL. This is an odd little accessory that I used on some old Nikon cameras, a “soft touch” shutter release extender. It gave the shutter release a better feel and made it easier to find with your index finger. 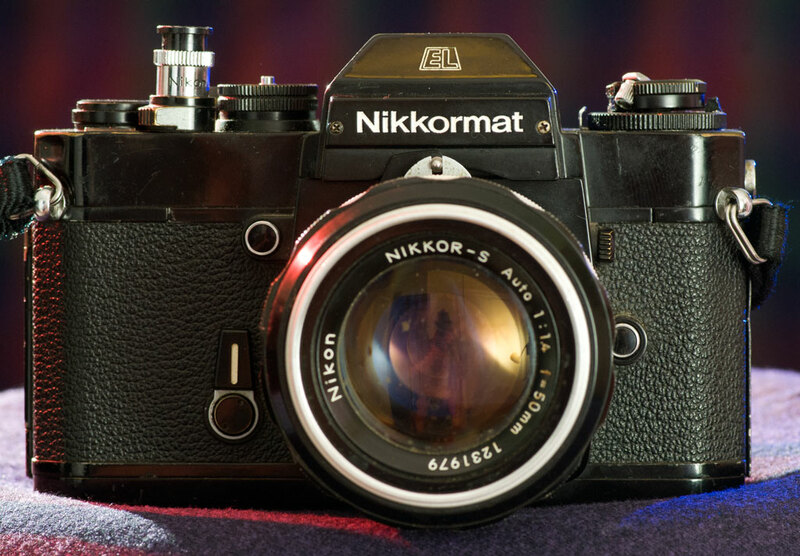 Nikkormat FT, the original 1965-design without auto aperture indexing. I eventually sold it after discovering a significant focus calibration error. Nikkormat EL. For years this camera had a place in my bag, and it remained healthy into the digital era. It has an auto-winder, which is slow and bulky, and is difficult to hold due to a lack of handgrip. In 2002, I handed it to Jamie for our hiking trip to Utah. She had a great time using it, and ended up keeping it in her collection on permanent loan. I borrowed it this week to photograph, but I consider it hers. 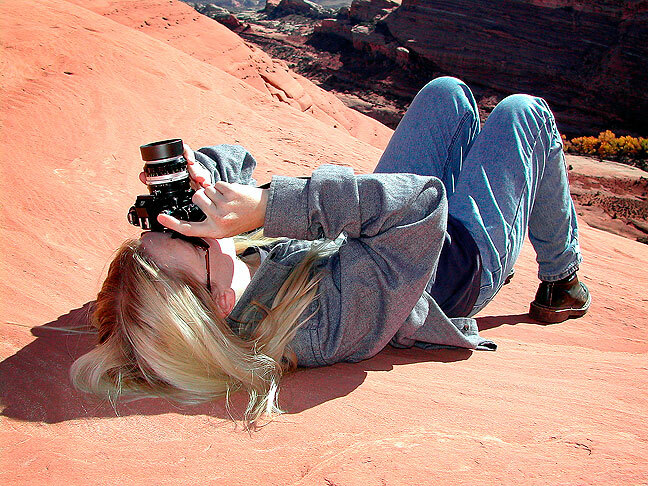 Jamie makes pictures with the Nikkormat EL in Arches National Park, Utah in November 2002. Since then, this camera has been in her possession, which pleases us both. Your host shoots with a Nikomat EL. I later gave away that camera. 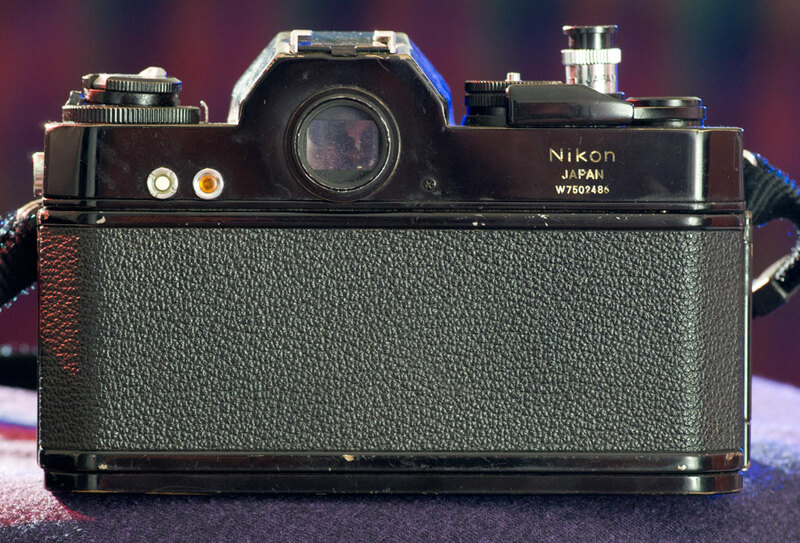 The Nikkormats were Nikon’s last effort to create something that was both well-crafted and affordable. Starting in 1981, Nikon introduced the Nikon EM, their first SLR that was mostly plastic, and in keeping with an overall trend in camera manufacturing, never made anything like the Nikkormats again. Despite being heavy and awkward to hold, the AW-1 autowinder for the Nikkormat EL was well-made and dependable. It really is a tank. I was not graceful in the Cayonlands and banged it on the side of the trail at times and it took it like a champ. I do have the best memorie of this relic of both our pasts. Thank you, it’s a meaniful treasure.